Birds for the Permaculture garden should include Chickens, Ducks or Quail or maybe even a combination of them the 3. All are very easy to keep really with only say maybe the addition of a small “pond” to accommodate for the ducks. 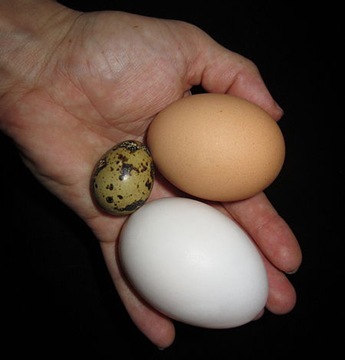 Obviously these are often most useful for their eggs but are a great source of meat/protein too of course. If you want to start keeping animals as a food source this is where you want to start. I think it’s also worth mentioning that if you choose to keep birds you may want to try and source some rare poultry breeds and also practice good healthy biodiversity in your selection too, its a positive move forward in my opinion. There is so much more to say on the subject and it’s something I’ll be covering much more in the coming weeks.